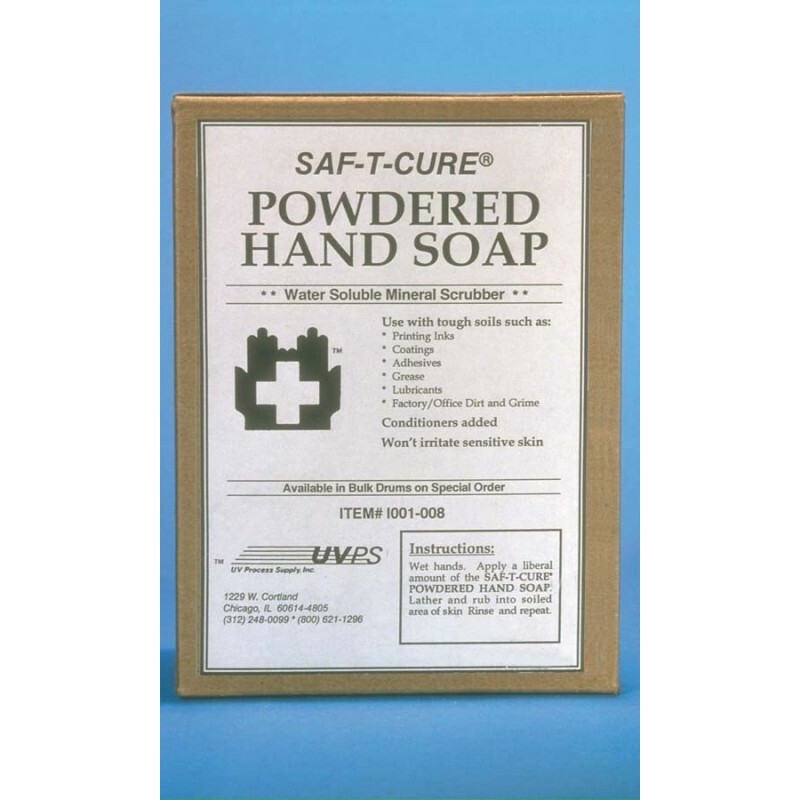 SAF-T-CURE® POWDERED HAND SOAP is for those tough soils that need a completely water soluble mineral scrubber. Its gentle action, with skin conditioners, will rub out the dirt without irritating sensitive hands. 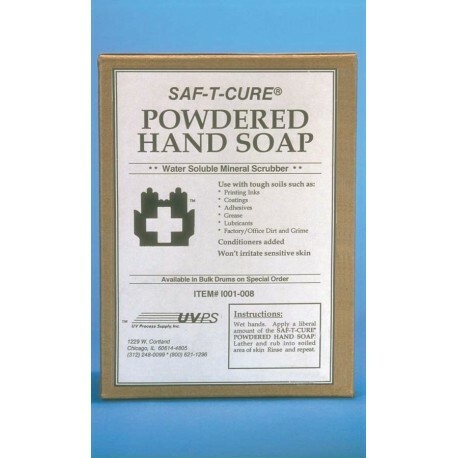 This cleanser can be used in the factory, shop, and office or anytime a scrubbing skin cleanser is needed. Skin conditioners added. Sold in 7 lb. bags, 5 bags/case.